Musculoskeletal Springs and Stains: Ice, Heat or Both? Musculoskeletal injuries can happen to anyone at any time and can be very painful. In 2009, the American Academy of Orthopedic Surgeons (AAOS) reported that 3 out of 5 accidental injuries occurs to the musculoskeletal system including sprains, strains and fractures. This brings up the question of how to treat the pain from a sprain or strain and minimize damage from the injury, apply ice, heat, both, nothing? Traditionally a sprain or strain is treated with ice, compression and a non-steroidal anti-inflammatory medication to decrease the swelling and get rid of the inflammation caused by the injury. The question is asked, is it the most effective treatment and what else might work? WHAT HAPPENS WHEN A SPRAIN OR STRAIN OCCURS? When a sprain or strain injury happens, the body’s immune system immediately responds to begin repair work to the injured area. Blood immediately carries the chemicals and cells needed to halt the damage and begin repairs. This is usually when pain, swelling is noticed. Swelling happens when the blood vessels open up and allow fluid to leak out of the vessels into the tissues in an effort to stop the damage from spreading. 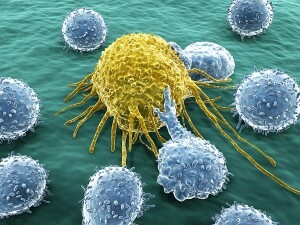 White Blood cells also respond to take care of the damaged and dead tissues so healing can begin. Without this inflammatory response the work of healing and rebuilding the tissue cannot begin or may be prolonged. As soon as someone notices pain or swelling near a joint or muscle, they should immediately stop all activity involving the area to prevent further damage from occurring. If possible have the area examined by a health care provider or athletic trainer to see if it is a sprain, strain or a fracture and determine what treatment would be best. The traditional treatment has always been to immediately apply ice to area for 20-30 minutes at a time to stop the pain and swelling. Some health care providers will tell you to do this for 24 hours and then apply heat for 20-30 minutes until the swelling and pain disappears. Some will tell you just to use heat therapy. Some will suggest taking a non-steroidal anti-inflammatory such as Ibuprofen. The goal of any treatment is to get the process of healing started and allow healing to occur and as mentioned above that includes allowing the inflammatory response to take effect. This has led to some questions about what exactly is the best initial and long term treatment for a sprain or strain. WHAT HAPPENS WHEN YOU USE EITHER ICE OR HEAT? ICE THERAPY: Applying ice to the injury site causes the muscle fibers to slow down, not be as active and prevent the damage from spreading further along the muscle. This causes the pain and muscle spasms to slow down while the nerves stop sending the constant pain signals. Once the muscle movement and spasms slow down, the fluid in the damaged area stops moving and swelling remains. The swelling will not go down until the muscles begin moving the fluid through the lymphatic system. One study conducted in 1986 found that when ice is on an area of the body for a long period of time, the lymphatic tissues leak fluid into the tissues causing more swelling. According to the book Clinical Sports Medicine: Medical Management and Rehabilitation, ice therapy works best for acute injuries and should be used for the first 36 to 48 hours only. Patients were found to be able to return to their normal full activity in an average of 13.2 days, compared to 33.3 days using heat therapy for the acute injury. The recommended ways to apply ice is through the use of an ice bag, cold pack, a bag of frozen peas or corn applied to the injured area for no more than 20-30 minutes. Heat lamp or infrared heat. This is done for only 20 minutes a day. This treatment must be done very carefully as it can cause burns, especially in people who have issues with circulation or sensitivity to heat or pain. Hot packs. Hot packs usually contain silicon gels and can easily be used more than once by boiling in water or warming in a microwave, wrapping in a soft cotton cloth and applying directly to the skin for no more than 20-30 minutes. The skin needs to be checked every few minutes for signs of burns. Ultrasound. This uses high frequency sound waves to go deep into the tissues, muscles and bones to heat the damaged areas and relieve pain and swelling. A gel is used on the skin surface to move the sound energy deep into the tissues. The ultrasound transmitter is moved slowly and continuously over the area and allows for uniform heating of the entire area. This is done once a day for about 20 minutes. Rest. Resting the injured joint or muscle means to not use it or use it as little as possible to prevent further damage. There is a theory that resting the injury for a prolonged period of time does not allow the tissues and cells to repair themselves properly. The recommendation is to not do anything with the injured area that brings the pain back for the first two or three days, then start slowly to get the area moving and stimulated again. Resting the area for longer than two to three days can actually delay healing, by causing the developing healing cells to get the wrong genetic code and form bone in muscle tissue or tendon tissue where it doesn’t belong. Remember, rest the area for 2 to 3 days maximum, if after that time there is still pain, talk to a healthcare provider. Ice. We have talked a great deal about this already but the recommendation is that Ice can be applied to the injury as an initial treatment and then for a maximum of 2 to 3 days, just until the pain eases and use of the area is gradually resumed. Use it for 20 to 30 minutes 4 times a day only. Ice will help if there is any bleeding under the skin and will decrease the pain and swelling. After 2 to 3 days and use of the injured area resumes, stop using the ice and start heat therapy 4 times a day for 20 to 30 minutes maximum. By this time any blood and fluid leakage into the tissue will have stopped. Using heat will then stimulate blood flow to the injured area and promote healing including decreasing pain and allow gentle movement of the area. Compression. Wrapping the injured area, especially if it is a wrist, ankle, knee or shoulder, is recommended. Proper compression wrapping of the injury will help decrease swelling around the injury and provide support for the healing tissue as well as minimize movement. Elastic wrapping is recommended as it will apply firm even pressure without cutting off circulation to the area. Elevation. Elevating the injury site for the first 2 to three days is recommended. It is recommended to elevate the injured area above the level of your heart to allow the swelling to move away from the injured area. Many people use pillows under the injury site to help lift the area up higher. Try not to sit with the injury site elevated for more than two hours at a time so that the blood can circulate throughout the rest of your body. Elevating when using the ice or heat treatment works best. WHAT ABOUT LONG TERM TREATMENT, IF THE INJURY LASTS LONGER THAN A FEW DAYS? Following the RICE prescription will help BEGIN the healing process started in that first 24 to 48 hour time period. After that time period, the pain and swelling should decrease enough that long term rehabilitation can occur. The goal of rehabilitation is to restore the injured area to its normal function by preventing stiffness, improving range of motion, and help the injured area get back its normal strength and flexibility. The health care provider will recommend some form of exercise to help achieve these goals. Depending on the severity of the injury and its location on the body, physical therapy may be ordered. A physical therapist will teach the patient the necessary exercises during visits to the therapy center, usually 2 to 3 times a week for several weeks, with the expectation that patients will continue the exercises in between visits and after discharged from the center. The therapy program will start out with light, gentle exercises and slowly increase in difficulty as strength and flexibility returns. Electrical Stimulation also known as E-stim. E-stim uses a Transcutaneous Electrical Nerve Stimulation or TENS device to relieve pain. Patients feel a gentle tingling sensation as the low frequency oscillator in the device stimulates the nerves without increasing muscle tension. Treatment usually lasts for about 20 minutes. Patients can be taught to use this device at home several times a day to relieve chronic ongoing pain. Therapeutic Massage. Therapeutic massage can help provide pain relief, decrease swelling and get contracted tight muscles moving again. This can be used along with ice, heat or compression and under the strict direct supervision of a licensed massage therapist. If you feel any pain, particularly a sudden or sharp pain, in a joint or muscle, remember to stop the activity and seek help if the pain doesn’t go away right away and contact your healthcare provider. It is ok to apply ice until further instructions are received. Bleakly, C. McDonough, S. Gardner, E. Baxter, GD. Hopkins, JT. Davison, GW. (2012, Feb). Cold Water Imersion (Cryotherapy) for Preventing and Treating Muscle Soreness After Exercise. Cochrane Database of Systematic Reviews 2012, Issue 2 Art. No. : CD008262. DOI: 10.1002/14651858.CD008262.pub2. French SD, Cameron M, Walker BF, Reggars JW, Esterman AJ. Superficial heat or cold for low back pain. Cochrane Database of Systematic Reviews 2006, Issue 1. Art. No. : CD004750. DOI: 10.1002/14651858.CD004750.pub2. One Response to "Musculoskeletal Springs and Stains: Ice, Heat or Both?" hello!,I like your writing so much!